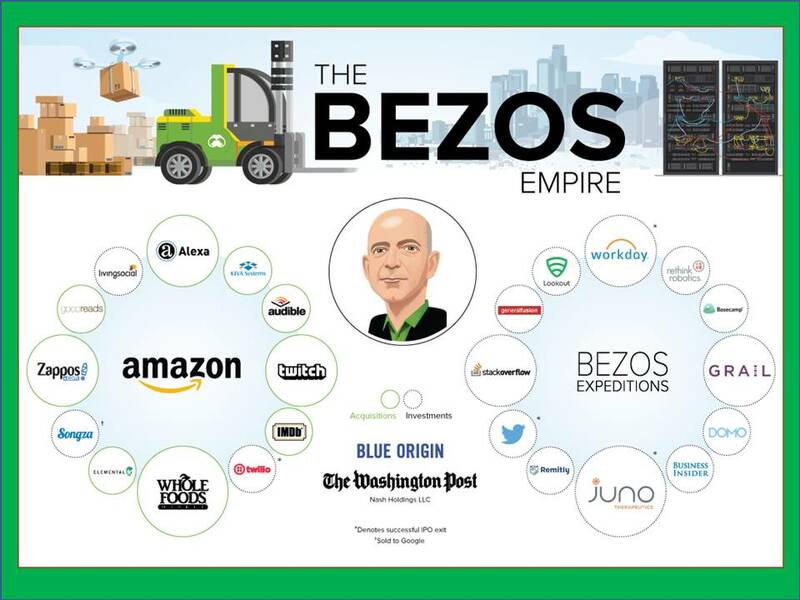 Image compiled by Visual Capitalist, and appeared in Sally French, “All the companies in Jeff Bezos’s empire, in one (large) chart,” MarketWatch, June 24, 2017. The TakeAway: Amazon’s recent purchase of Whole Foods continues a pattern of disruption in both retail and the wider economy that’s unstoppable. It’s part of a massive shift in jobs and income, that exacerbates income and wealth inequality. Rather than fixating on what companies are doing, we need to concentrate on what capital flows are doing and start organizing. Put another way, it’s time to shift the frame from entities like Amazon that demand capital — that is, companies and other investment vehicles capitalized by investors — to entities that supply capital — especially nonprofit institutional investors. Let’s call them “civic fiduciaries” — with vast pools of assets under management. Then let’s leverage that money toward public interest and inclusive economic outcomes such as decent jobs, public health, education, affordable housing, clean energy, good food, infrastructure (water, roads, bridges, high speed internet), research, and a host of other public priorities. Amazon’s recent $13.7 billion bid to buy Whole Foods Market will continue the company’s role in creating massive disruption in the retail industry and beyond. That may be good for shoppers and shareholders, but upends opportunities for millions of workers — particularly ex-offenders, older people on modest fixed incomes, and others seeking entry level jobs that require little formal training. The move occurred a few weeks after a May 23 vote on a shareholder resolution about Amazon’s use of criminal background checks, which disproportionately affect people of color looking for decent work; the resolution garnered 7.3 percent support. And last year, Amazon came under fire in Boston regarding its Prime Delivery service, which avoided neighborhoods dominated by people of color. Source: Mass Incarceration: The Whole Pie – 2017, Prison Policy Initiative, March 14, 2017. These Amazon stories provided a glimpse into an already-dire situation for low-wage entry jobs. Amazon’s bid for Whole Foods also continues a pattern of automation and digital commerce that has a destabilizing effect, not just on retail as a sector, but on the wider social and political environment. Retail jobs are disappearing fast, with 15 percent of U.S. retail stores expected to close within the next decade. 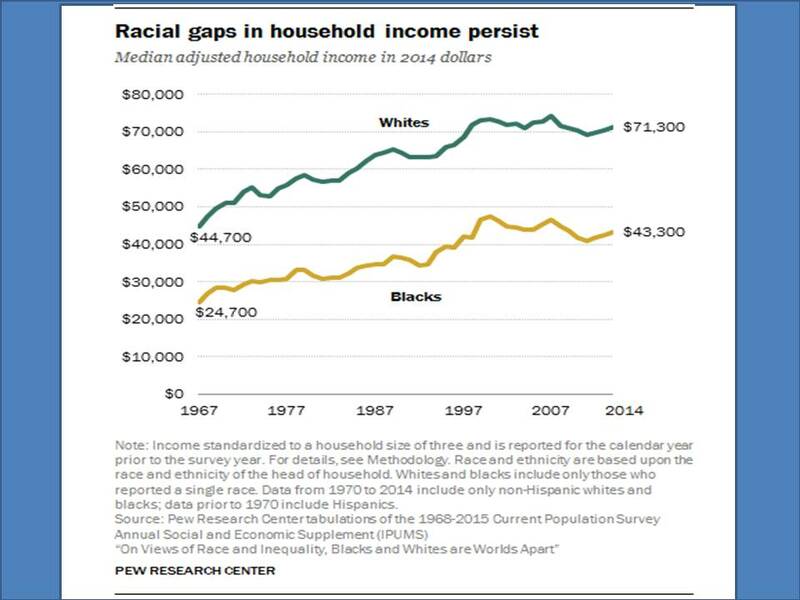 Source: “On Views of Race and Inequality, Blacks and Whites are Worlds Apart,” Pew Research Center, June 27, 2016. That will accelerate job losses, further inflaming an already bifurcated economy featuring massive wealth and income inequality that, writ large, threatens the core of our constitutional system and American ideals. Wealth and income inequality generate social and economic impacts that, as we have seen, cut across racial, gender, and ethnic groups, making more room for virulent racism, misogyny, and white nationalism. We’ve also seen how class becomes the fault-line, with particularly deleterious effects on those living in rural or exurban areas as well as on the unemployed and poorly educated. Many say it also contributed to the election of Donald Trump, although some researchers counter this by arguing that whites with high levels of ethnic identification who are concerned about rising diversity helped propel him into office. Both may be true. We know that ethno-nationalism now has prominence of place in this White House, and hate crimes are on the rise amongst white supremacists. Source: “Mortality and Morbidity in the 21st Century,” by Anne Case and Angus Deaton, Brookings Papers on Economic Activity, May 1, 2017. 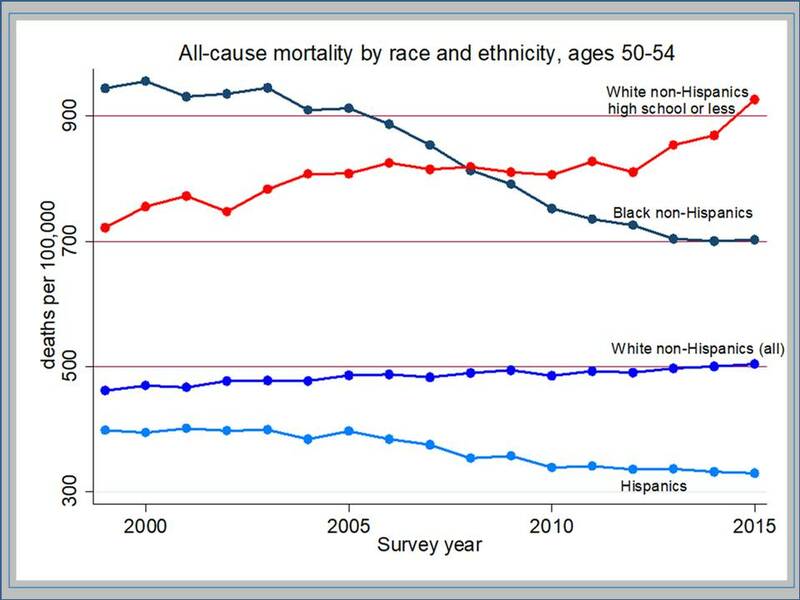 Indeed, there appears to be a link between Trump and the spike in mortality rates for white people, according to Nobel prize-winning sociologist Sir Angus Deaton. Sir Angus observed that there’s a strong correlation between U.S. counties with high mortality rates for white people and those who voted for Donald Trump. “Whatever [the cause], these people are unhappy, they’re left behind, some of their jobs have gone away, they’re worse off than their parents were, they’re worried about opportunities for their kids,” he told Business Insider during an interview at the World Economic Forum in Davos last January. Both Sir Angus and fellow Princeton academic Anne Case call these “deaths of despair,” which are not just caused by opioid and heroin addiction but also by economic entrapment. In a draft paper for the Brookings Institution Panel on Economic Activity in late March, the pair attributes these deaths (which include suicide) not so much to income disparities as to the conditions that give rise to them — essentially, the decline in opportunities for decent work. No doubt this is a big factor in the withdrawal of the Senate vote on the Affordable Care Act: many Republican senators represent districts with large number of Trump voters on Medicaid, who quickly found themselves on the wrong side of the issue particularly in states where health costs are rising and opioid addiction already strains state and local budgets. But what if we could change that? What if we could reverse these losses and all that despair and address the root causes — and build an inclusive economy in the process? What if we could influence decisions about how to invest millions of dollars that surround us, money that we walk by every day but don’t see? What if we could influence those decisions in ways that generate wider prosperity, not less — for more people, not a handful? And what if we could do so, not through the use of traditional tools such as taxes and tax credits, subsidies, regulations, and other economic incentives for government action? Rather than applying those tools affecting public policy, what if we applied digital tools to affect capital markets — and generate more effective collective action linked to investor governance and accountability, policy and practice? That involves shareholder activism, integrated investing, transparency, reporting, stakeholder engagement, public due diligence, and a host of other actions that can help generate jobs while bolstering public priorities such as jobs, health, housing, clean energy, good food, education, infrastructure, infrastructure, research, and more. And what if that money comes from sources other than taxpayer pockets? I’m thinking of wealthy nonprofit institutions that do not pay taxes — yet already are investing in all kinds of things, and paying all kinds of fees in transactional costs, even though most of us haven’t a clue as to what that involves. Despite the fact that, as taxpayers, we help underwrite their existence. What if we could take the essential concepts, models, and tools that are driving economic transformation and put them to work to build an inclusive, sustainable, and prosperous economy? What if we could get outside our frame of reference, and instead of just looking at what companies are doing, look at what capital flows are doing — and get busy? And what if we decide, having done that, we invite wider citizen engagement and discussion — not the dumb, knee-jerk, tweet-and-run kind, but a more informed kind with gravity attached — about how these capital flows might be influenced, so that the public interest is strengthened, not weakened, that the equity gap is bridged, not widened, and economic and social justice advanced, not diminished? What would that do to our political economy, to our sense of civic agency, purpose, and vitality? To our civic “operating environment”? The economy is being transformed in ways that have brought us Uber, Lyft, AirBnB, Facebook, Google, Amazon and other Silicon Valley startups that now dominate the landscape. Analysts point out they’ve succeeded by taking peer-to-peer technology and applying it to commerce, wiping out brick-and-mortar intermediaries and, at least online, giving rise to new ones. Amazon, for instance, makes a lot of money from third-party sellers who agree to sell products on its platform; it’s a profitable relationship, because Amazon collects the fees without having to absorb inventory risk. This has proven so lucrative that Nike recently announced an exclusive deal with Amazon, because third-party sellers were undercutting their prices. The entire ecosystem that’s evolved around traditional notions of supply and demand has been disrupted. Intermediaries — that is, shopping malls, big-box stores, distribution networks, and supply chains — that often employed people in full-time jobs with benefits are floundering. As intermediaries disappear, so do the jobs and how we think of “work” — so much so that we still don’t quite what the “new” definition of work will be, or what to call it. Is it the “sharing” or “gig” or “on-demand” economy? What are the implications for workforce development and training, for people of all ages? In other words, tough luck for those not occupying the educational elite and find it difficult to secure decent jobs that enable a sustainable standard of living. The evolution of this bimodal distribution of work already has raised questions about adequate regulations and consumer protection. While policymakers are loathe to talk about it, it also challenges our notions of employer-provided health insurance, pension and other retirement benefits, sick leave, vacation time, and so on — benefits our grandparents and great-grandparents (I’m showing my age here, as an aging Baby Boomer) probably never dreamed of. This transformation also has generated a great deal of discontent, underlying the support both Bernie Sanders and Donald Trump supporters garnered as they appealed to voters’ sense of powerlessness and anger, a feeling of having lost something important, left behind in a world in which they can’t find their footing. In times of crisis, it helps to question the frame of reference, especially when “resistance” seems futile, Aspen Institute president and CEO Walter Isaacson argued in a recent New York Times book review on several recent books about this fertile field of innovation. While he argues for more innovation and better entrepreneurship, he’s still using the same lens, missing a bigger picture and opportunity: Instead of thinking about how peer-to-peer technology can help generate better products that people want, how about using peer-to-peer technology to generate better capital investment that people want, because it generates value in multiple positive ways, affecting people, planet, and a range of other economic and socio-political outcomes? Put another way, it’s time to shift the frame from entities like Amazon that demand capital — that is, companies and other investment vehicles capitalized by investors — to entities that supply capital — especially nonprofit institutional investors. Let’s call them “civic fiduciaries” — with vast pools of assets under management. Once we do that, we can assert a muscular form of integrated, holistic investing and active fiduciary stewardship that acknowledge total-portfolio impacts on the social, environmental, economic, and governance ecosystem — both in front of us and everywhere else. How to do that? By incorporating three “multis” and a “poly.” What’s that, you say? That’s the subject of the next post. Incarceration figures as a whole show a disproportionate impact on African Americans. 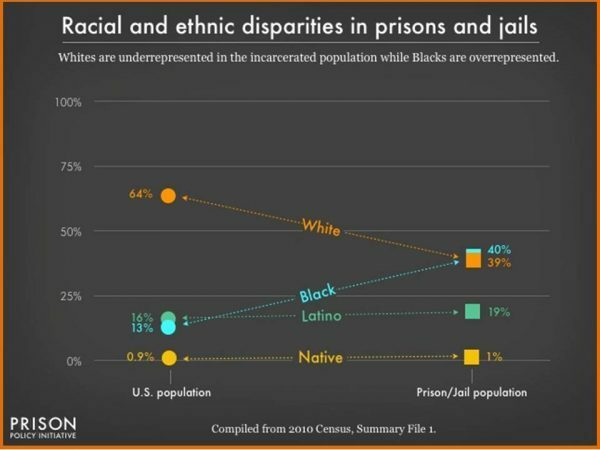 According to the Prison Policy Initiative, whites are underrepresented and blacks are over-represented, with incarceration rates for Latinos showing a slight increase relative to their percentage of the U.S. population. Indeed, the United States has the dubious distinction of locking up more people — 693 for every 100,000 residents — than any other country, with incarceration rates more than five times higher than those in most countries around the world. The growing population of ex-offenders, proportionately larger than any other country, finds it more difficult to secure decent work, which makes it more difficult to stay out of jail. That action occurred as a direct result of the Boston-based nonprofit Lawyers’ Committee for Civil Rights and Economic Justice, which sent a letter to Amazon CEO Jeff Bezos, expressing concern about a purported new Amazon directive in August 2016 that requires third-party contractors to institute more stringent background check procedures. The letter alleges that changes in policies resulted in the termination of dozens of primarily black and Latino Amazon delivery drivers in the Boston area. One Boston area delivery company, Miller’s Express, summarily “deactivated” approximately 30-40 drivers on a single day, nearly all of whom were people of color, according to the Lawyers’ Committee. The shareholder action was led by the AFL-CIO (through its Capital Stewardship Program), joined by Boston-based socially responsible investment pioneer Zevin Asset Management (ZAM). (For years, ZAM has examined the role of the private sector in mass incarceration.) Earlier this year, the AFL-CIO and ZAM filed a proxy resolution asking Amazon’s board of directors “to prepare a report on the use of criminal background checks in hiring and employment decisions for the company’s employees, independent contractors, and subcontracted workers.” Proponents say that the use of arrest and conviction records in making hiring decisions may violate provisions of the Civil Rights Act of 1964 and EEO guidelines, because they disproportionately impact people of color. Amazon continues to face complaints and lawsuits over alleged improper use of background checks in hiring. In January 2017 the Lawyers’ Committee filed class action complaints on behalf of eight black and Latino delivery drivers with the Massachusetts Commission against Discrimination, alleging that Amazon violated federal and state anti-discrimination laws. In 2016, Amazon faced complaints that it was not offering its Prime Free Same-Day Delivery service to minority neighborhoods. An analysis by Bloomberg News highlighted racial disparities in areas where the service was available in Atlanta, Boston, Chicago, Dallas, New York and Washington and prompted criticism from elected representatives that the company’s data-driven service boundaries unfairly left out some minority communities. In early 2016, for instance, Amazon offered same-day delivery to all neighborhoods in Greater Boston – except for three zip codes in the predominately black neighborhood of Roxbury. Following several news articles and calls from Boston Mayor Martin J. Walsh and Massachusetts Senator Ed Markey for Amazon to provide similar services to Boston’s excluded Roxbury neighborhood, Amazon included Roxbury in April 2016. In May 2016, Amazon announced it would bring free same-day delivery to the Bronx and Chicago’s South Side. The retail sector is especially hard hit, primarily due to the popularity of online shopping. While Amazon growth shows no sign of ending anytime soon, employment in the U.S. retail market continues to suffer. According to the federal government, retailers shed nearly 30,000 jobs in March, after similar numbers in February. The Bureau of Labor Statistics reports that as of May 2017 there are about 15.8 million retail workers throughout the U.S., including online sellers. That represents about 10 percent of the U.S. labor force, and generates roughly 6 percent of gross domestic product. Average hourly earnings for these workers are about $15.24. In May, the sector unemployment rate was 4.9 percent, higher than the national 4.3 percent rate reported for the same period. Despite the fact that Amazon controls only 8 percent of U.S. retail sales — that’s about $391 billion of an annual $4.9 trillion sector — its outsized impact is massive. And that doesn’t even count Jeff Bezos’ empire, which includes The Washington Post. No retail outlet is safe, whatever the product line. From books to electronics to clothing to food — the cybersky’s the limit. What’s next? Department stores? Furniture? Already, Wall Street has downgraded Target (food is 22 percent of Target’s sales), grocery store stocks have plunged, and Wal-Mart is waiting in the wings. According to JPMorgan Chase analysts, Wal-Mart has both the means and the motive to make a play for Whole Foods, a defensive move that could turn into a bidding war, with Wal-Mart the likely loser. The collective gurgling death rattle can be heard in every suburban mall. Sears, Macy’s, J.C. Penney, Best Buy and Kohl’s have lost billions in market value. And office supply retailer Staples has agreed to a $6.9 billion buyout. Meanwhile, Amazon continues to have an impact on jobs, income, tax revenues, bankruptcies, real estate (both store and mall closings, which Business Insider calls a “retail apocalypse”) as well as consumer goods manufacturing and distribution. Anne Case and Angus Deaton, “Mortality and Morbidity in the 21st Century: Final Post-Conference Version, May 1, 2017.” Paper presented to The Brookings Institution Panel on Economic Activity, Washington D.C., March 23-24, 2017. Link to paper here; link to authors’ data appendix here; link to presentation here. David Autor and Anna Salomons, “Does Productivity Growth Threaten Employment?”Paper presented to ECB Forum on Central Banking, Lisbon, Portugal, June 27, 2017. Program overview here; link to paper here; link to presentation here. This entry was posted in American public life, Automation, Civic engagement, Ethics and Values, Fiduciary, Inequality, Investor Governance, Politics, Proxy Voting, Stakeholder Engagement, Sustainable Investing, Wage Gap and tagged Amazon, Anne Case, automation, Brookings Institution, civic fiduciary, clean energy, Cornerstone Capital, deaths of despair, digital commerce, European Central Bank, housing, incarceration, income inequality, infrastructure, investor governance, Investor Research Responsibility Institute (IRRCi), jobs, Lawyers'Committee for Civil Rights and Economic Justice, opioid addiction, peer-to-peer, Pew Research Center, Prison Policy Initiative, racism, retail, retail apocalypse, Robocalypse, Sir Angus Deaton, wealth inequality, Zevin Asset Management. Bookmark the permalink.